Background/Info: Covenant is back on track and will unleash their new full length “The Blinding Dark” within a few weeks. 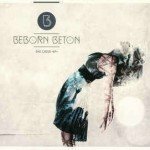 A first single/EP has been released to give us an idea about the new songs. The title song has been inspired by the band’s ‘fascination with a network of large concrete acoustic mirrors built during WWII on the coast of southern England. These structures, known as ‘Sound Mirrors’, still stand today and were erected as early-warning devices by British air defense forces to detect incoming enemy aircraft. Yet they were rendered obsolete by the invention of radar long before they could be put into widespread use.’ It also is a story ‘that underscores the paradox of progress’. Content: “Sound Mirrors” is a rather typical Covenant-song featuring the charismatic vocals of Eskil Simonsson and alluring sound vibrations mixing intelligent sound sculptures and a carrying chorus. 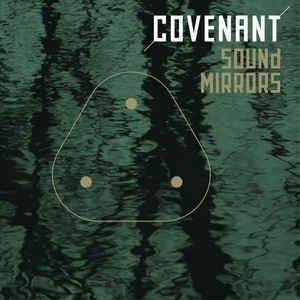 Next to this rather catchy title song Covenant also features a more experimental B-side track “In Theory”, which is composed with impressive sound manipulations. Like any good EP we also get an important part of remixes. 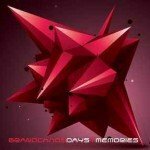 “Sound Mirrors” has been remixed by Faderhead, Daniel Myer (Haujobb, Architect) and Iszoloscope. + + + : “Sound Mirrors” is a typical Covenant-song without real surprises. It’s the kind of track confirming the high-tech sound of this Swedish leading formation and their unique skills to create ‘hits’. Speaking for myself I prefer the experimentalism and sound research of “In Theory”. The remixes bring some extra diversity to the great title song. – – – : “Sound Mirrors” definitely is a cool song although not the one that can compete with some of their numerous, earlier hits. I think the album will have more to offer. Conclusion: Covenant is back on track and already seems to have taken their time to achieve new and masterly written songs. The EP is a cool appetizer; by I’m especially looking forward to discover the full length album.